Little Blue School: Book Arts Bash: The Finalists! This is how homeschoolers really are. Book Arts Bash: The Finalists! Shez and I have been working very hard to sort through all the entries, get them read by panelists, and get them sorted into envelopes for mailing. We deeply appreciate all your words of encouragement and support as we tackle this project! It has been an amazing experience for us and we have learned a lot. The most competitive category, unbelievably, was the novel excerpt. No one could have predicted this! We received dozens and dozens of novels. Stacks and mountains. We certainly had no idea there were so many excellent novelists out there in the homeschool world, typing away at their masterpieces. We are so impressed. The most difficult categories to narrow down to finalists were the novels, the short stories, and the poems, all deep in quality and chock full of entries. At times we had three different people looking at your work, trying to get it down to three finalists in each grade division, each genre. That wasn't always possible, as you'll see in the results! I can honestly tell you that just being a finalist in these categories is a real accomplishment. The competition was fierce. Other categories were not so well represented. In some cases, all of the entries advanced. Yes, in other cases there were categories where no finalists will be sent on at all. Knowing what we know now, we will definitely be changing the line-up of categories next time. Next time? Yes, there will be a next time, assuming our husbands allow us to engage in this madness again! We are thinking a paperless contest for novels only. We plan to divide up the categories much more by age and by genre within the novel format, and recruit more agents and editors to judge. As we're planning it now, this will take place in early spring of 2010, with a deadline of January 1, 2010. Interested in getting started on that new novel? Have you heard of National Novel Writing Month? Visit Nanowrimo to find out more, and watch this space for ways to connect with other Book Arts Bash writers, old and young! Oh, wait! I forgot to tell you how to find out if your piece was chosen as a finalist. Visit the page on the Book Arts Bash web site for the category you entered for a full list of finalists. Any questions, please email us. Note: If you find your entry on the finalist list, and you would like a scan or excerpt of your work posted immediately, please copy and paste your excerpt into an email to bash@littleblueschool.com or send an email with an image attached. All of our packets are ready to go out to the judges now, and if we wait to scan and type in excerpts of all the finalists by hand, it will be quite a while before they go out. If you want to wait until the judging is finished to see an excerpt of your work on the site, do nothing. If you want instant gratification, act now! Yay! Thanks so much for all of your hard work with this wonderful book bash. My children and I so enjoyed participating. When you say a competition for novels do you mean separate and in addition to the Bash or as a replacement? I thought those other genres were fun and my children learned a great deal about different forms of lit for kids... I hope you're able to host both! I am a finalist, Sam S., and the title of my short story is "Cinderella--Memoirs of a Stepmother." You have it wrong on the page. I'm sure it was an honest mistake, but it still needs fixing. Please correct this as soon as you see this comment. If you want to email me, you can reply to the email I sent to bash@littleblueschool.com on the same topic, but I am not about to give out my adress in a blog comment. Thank you for changing the title of my short story, "Cinderella--Memoirs of a Stepmother". However, you still have it wrong. On your page it is, "Cinderella's Memoirs Of A Stepmother". Please fix this. My name is Lydia. I’m a homeschooling, minivan-driving, novel-writing, child-wrangling, husband-pestering, pony-grooming, dog-remonstrating mother of two. My novel, Shine Shine Shine, was published by St. Martin's Press, and was a New York Times Notable Book for 2012. 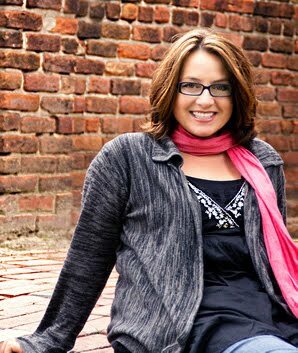 Find out about that on my author blog: Lydia Netzer. 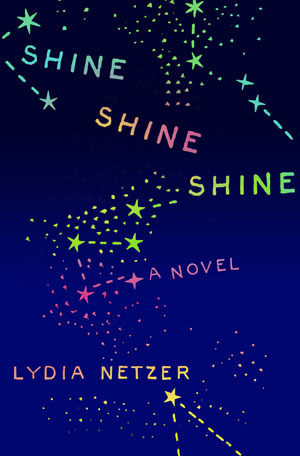 This is the cover of my novel, Shine Shine Shine. It was a "People Pick" in People Magazine, Amazon's Spotlight Book for July 2012, and the New York Times called it "extraordinary" and "stellar." It has a Facebook page of its own here. It is published by St. Martin's Press. Find out more about it on the publisher's web site by clicking the cover! Does Tootle the Train Somehow Bother You, Too?